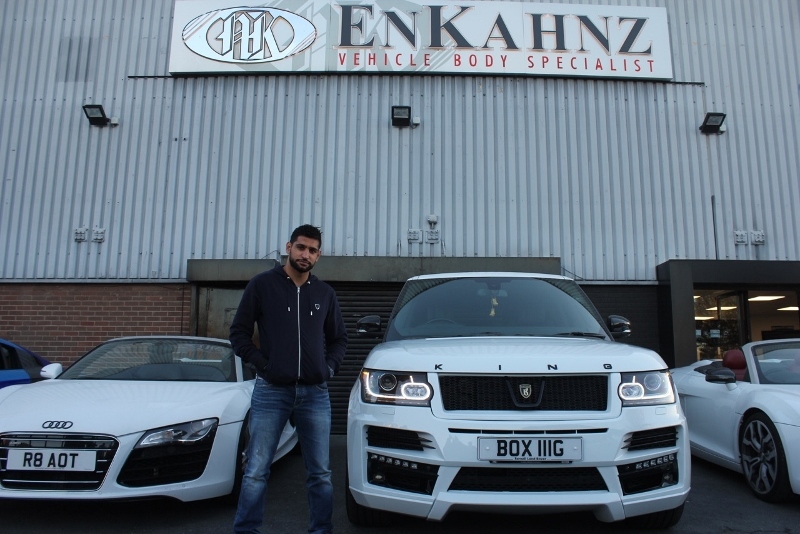 When a world champion boxer needs a world class customisation on his £100,000 Range Rover Vogue, there is only one garage he will visit – Enkahnz. 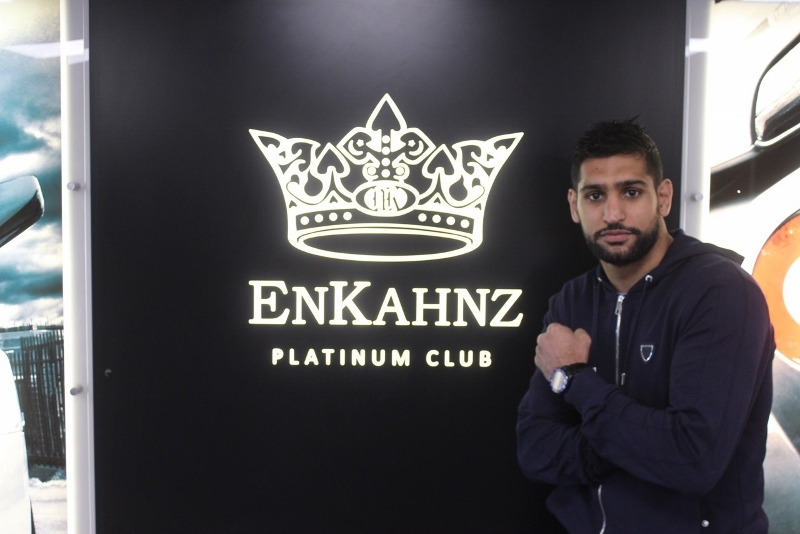 For Bolton’s own Amir Khan, this statement could not be truer. 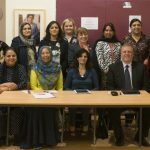 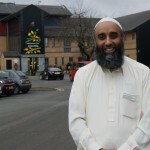 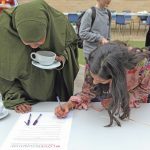 Having relied on the Bradford modifiers on a number of occasions in the past, his most recent visit to the garage corresponded with the unveiling of his latest vehicle’s makeover and a classy new look, just in time for Eid. 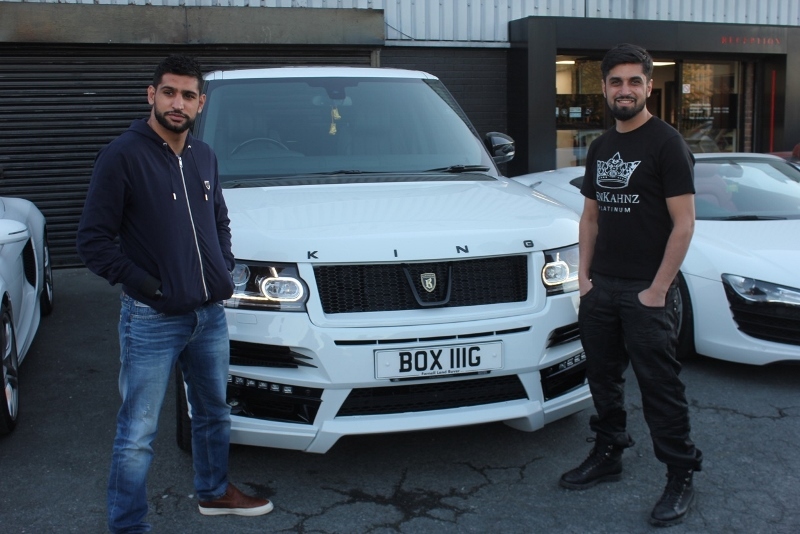 With a reputation for driving only the sleekest looking motors, the former welterweight champ instructed the ‘kings of customisation’ to bring out the potential of his mammoth white Range Rover. 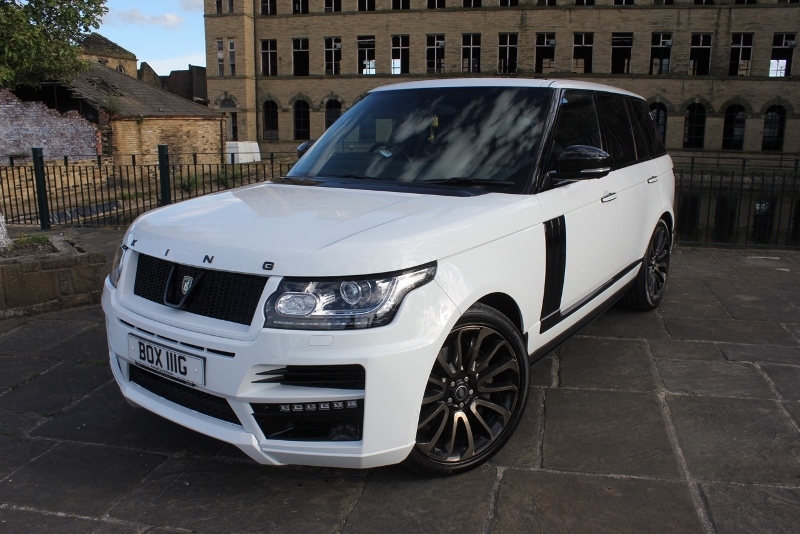 Using a sleek Barugzai styling pack, the Enkahnz team brought the modification to life, before handing back the keys just in time for the Eid celebrations. 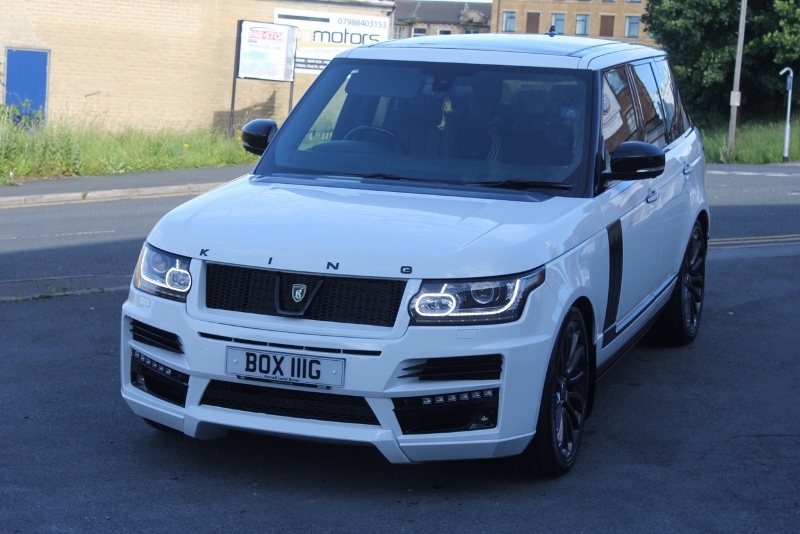 Sparkling new alloy wheels, bumpers, an exhaust and spoilers all round off the look, oozing in style for the self-confessed ‘petrol head’ boxer to drive away in. 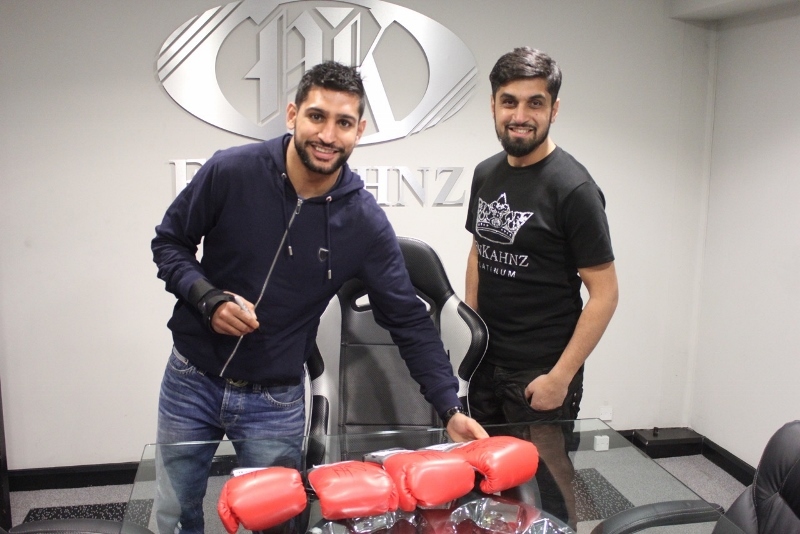 Enkahnz founder, Naveed Khan, said he has worked with the boxer before and noted a change in his style. 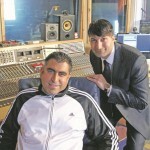 “Amir is not as loud as he used to be and is now more favourable to the more subtle, classy modifications in comparison to some people who go for ‘in-your-face’ mods,” he said. 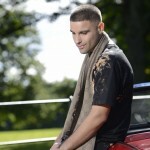 The Enkahnz team is the leading car customiser in the UK and has a list of celebrity clients on their books.